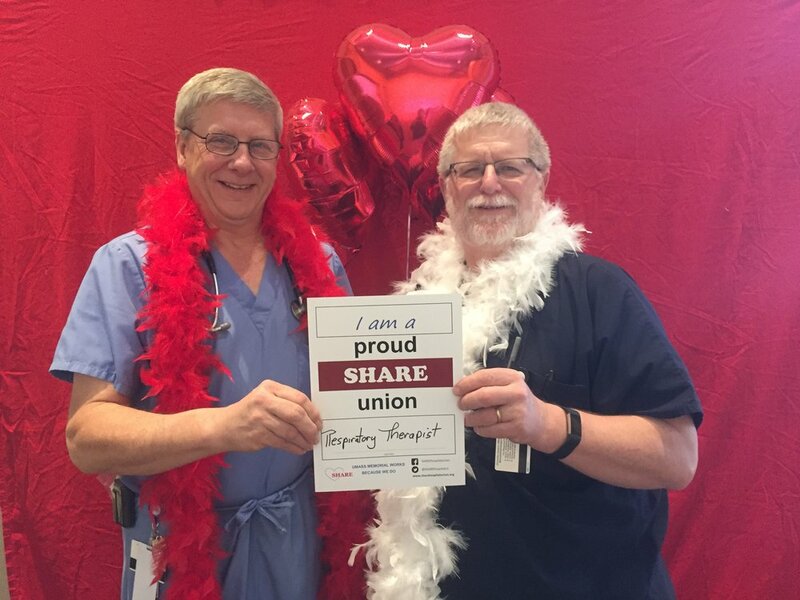 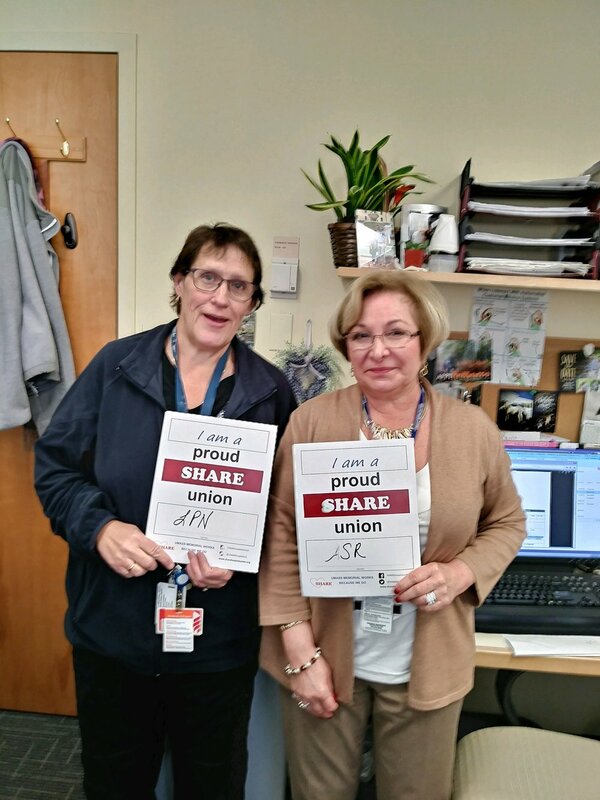 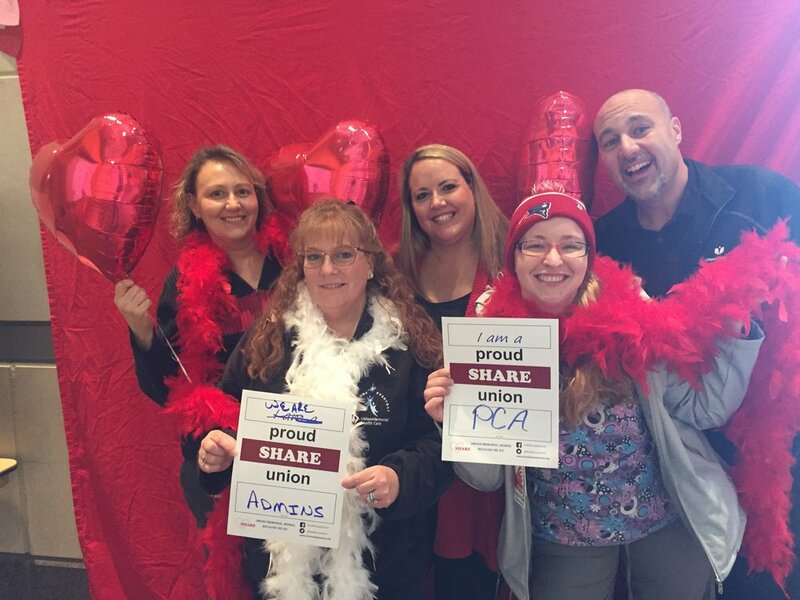 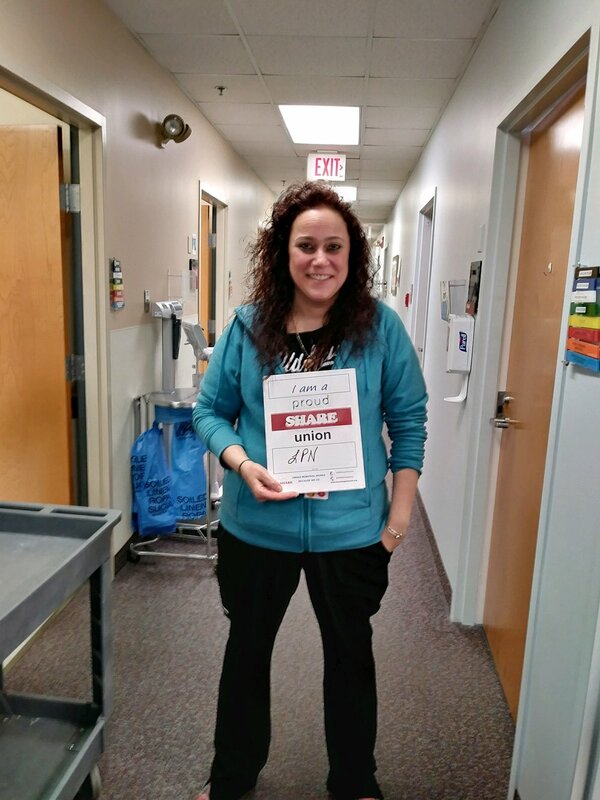 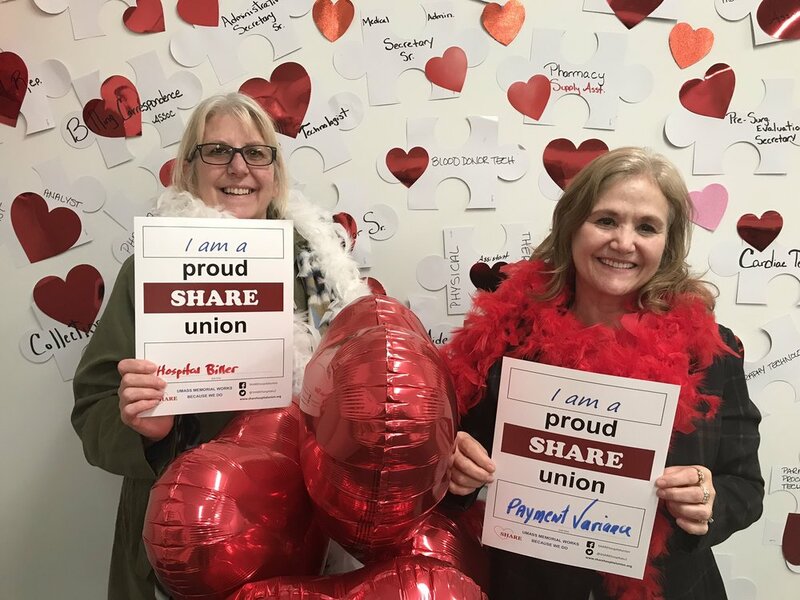 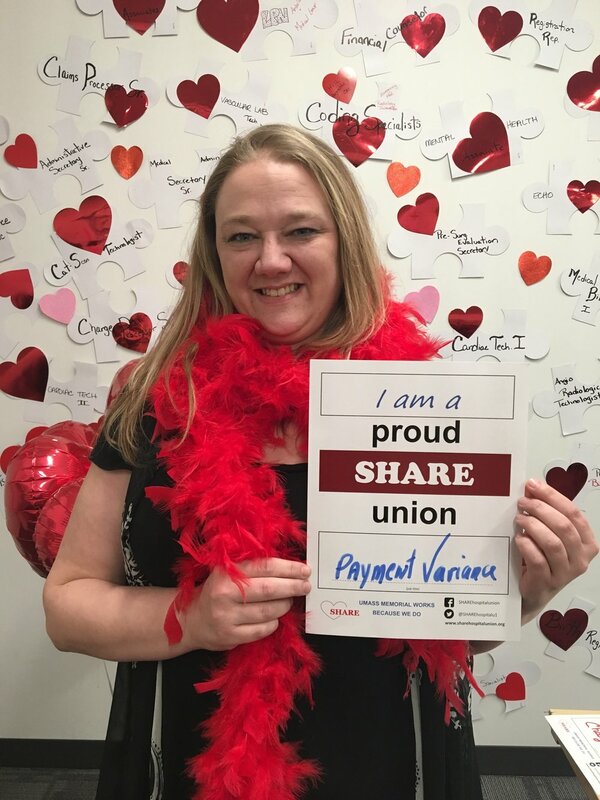 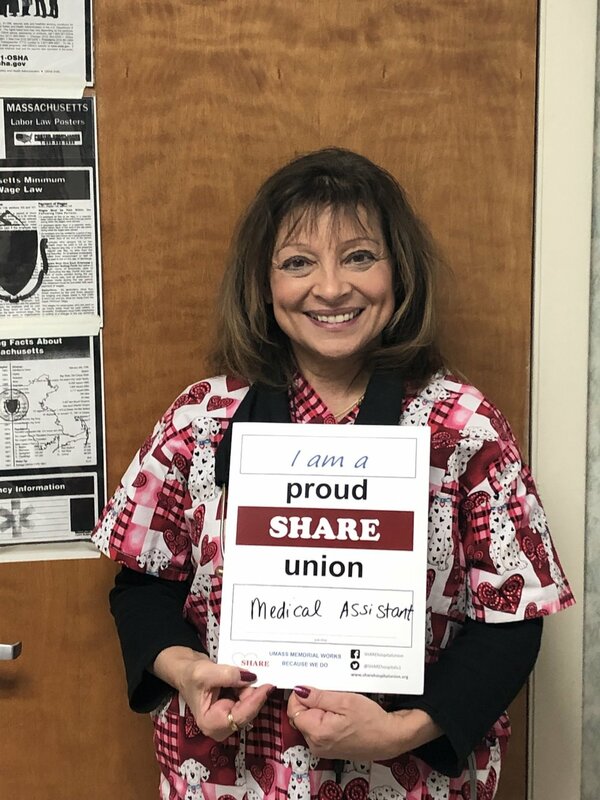 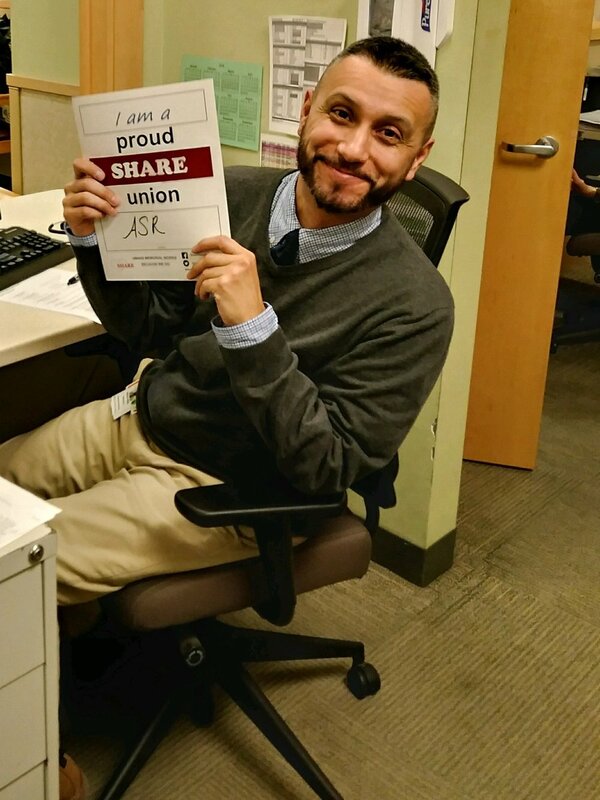 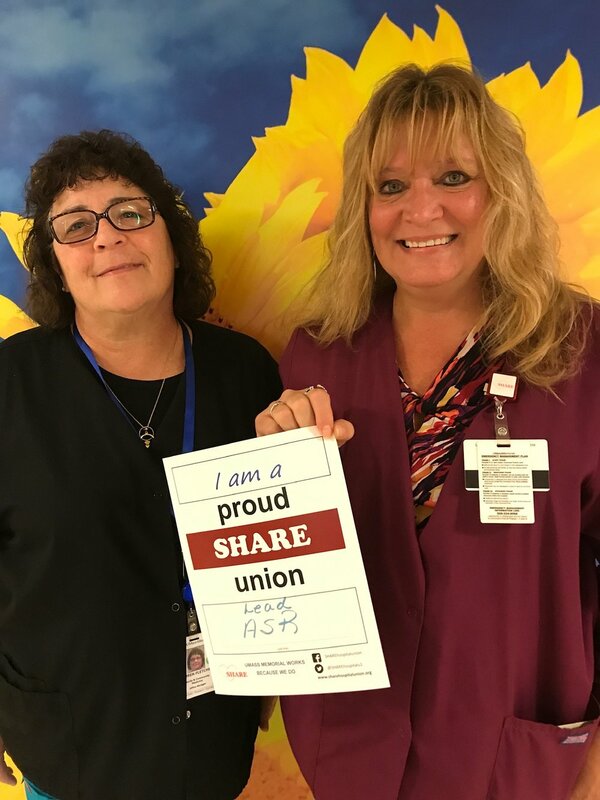 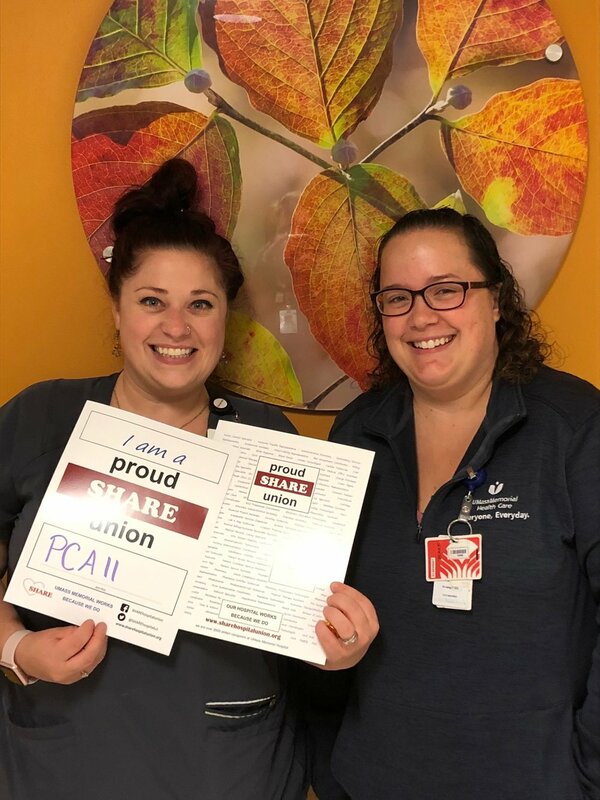 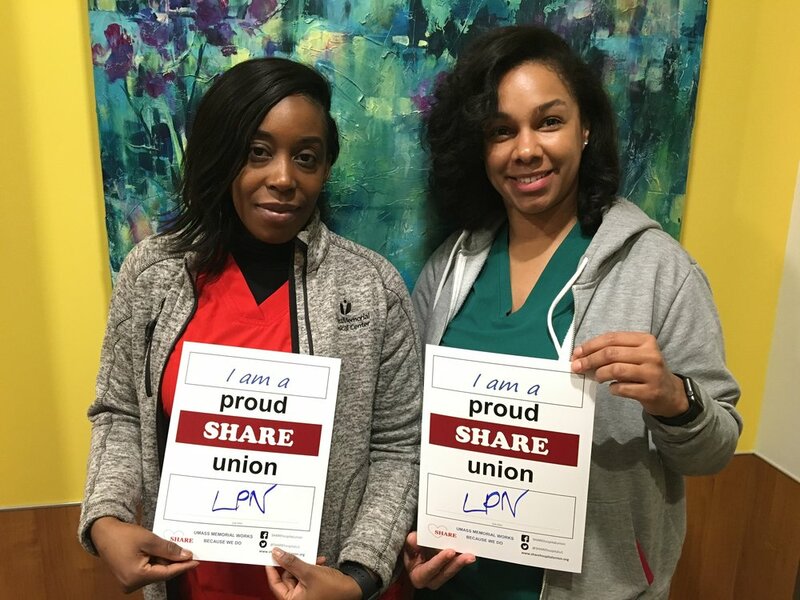 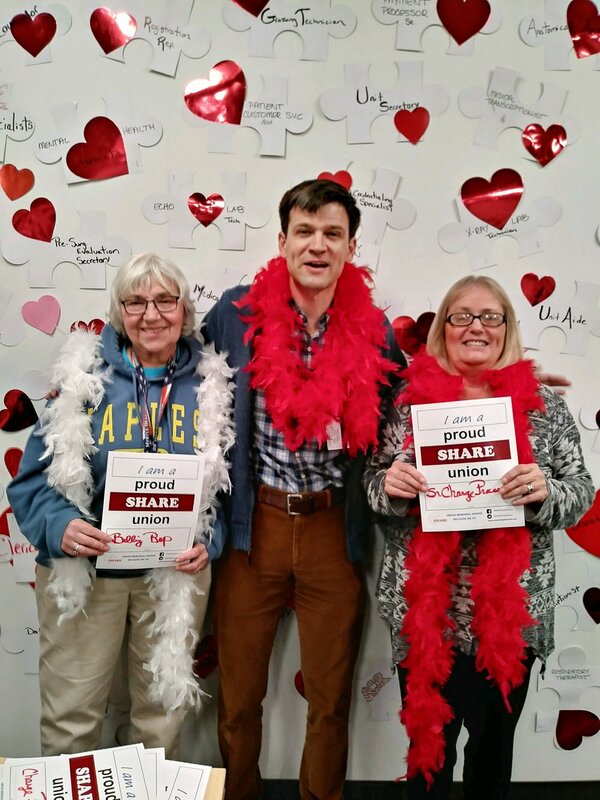 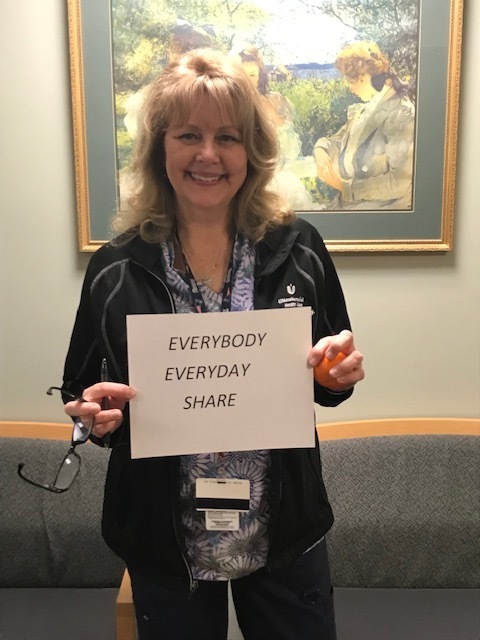 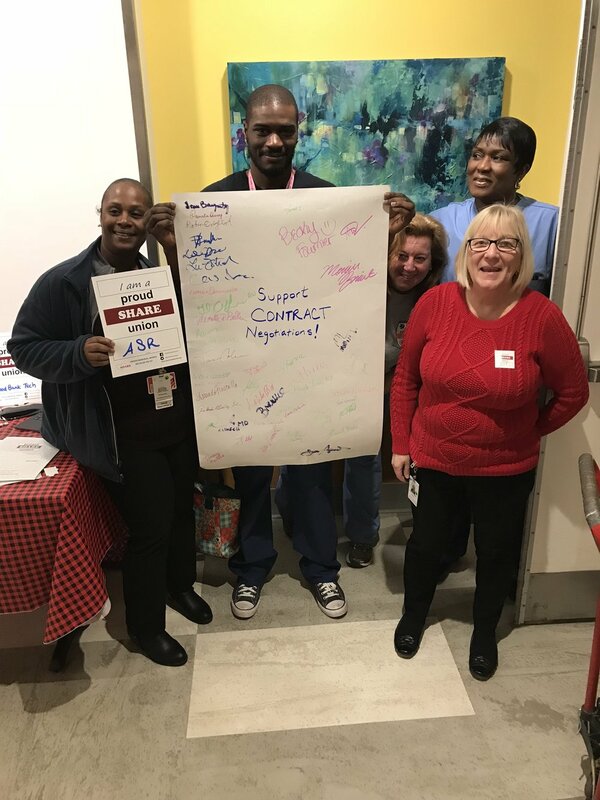 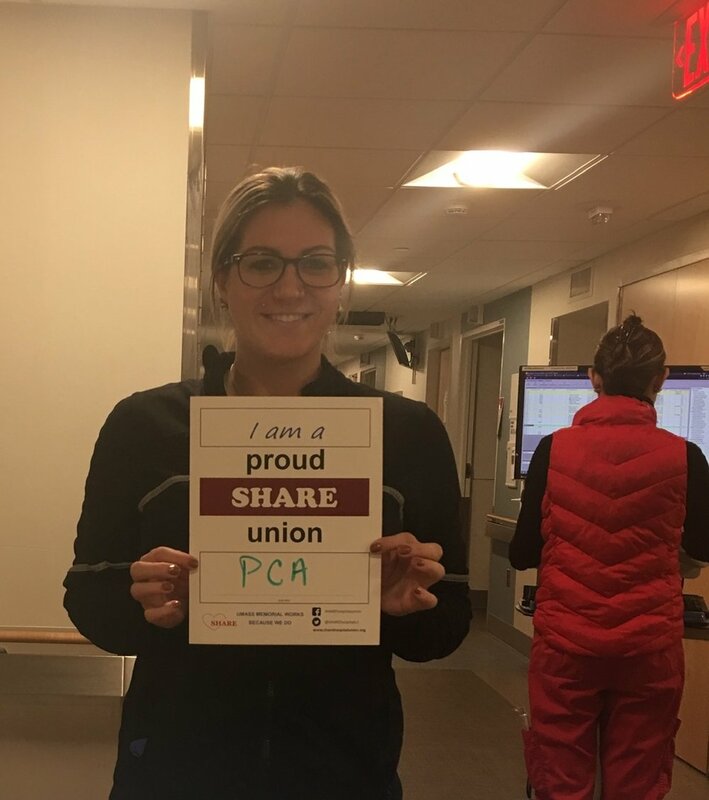 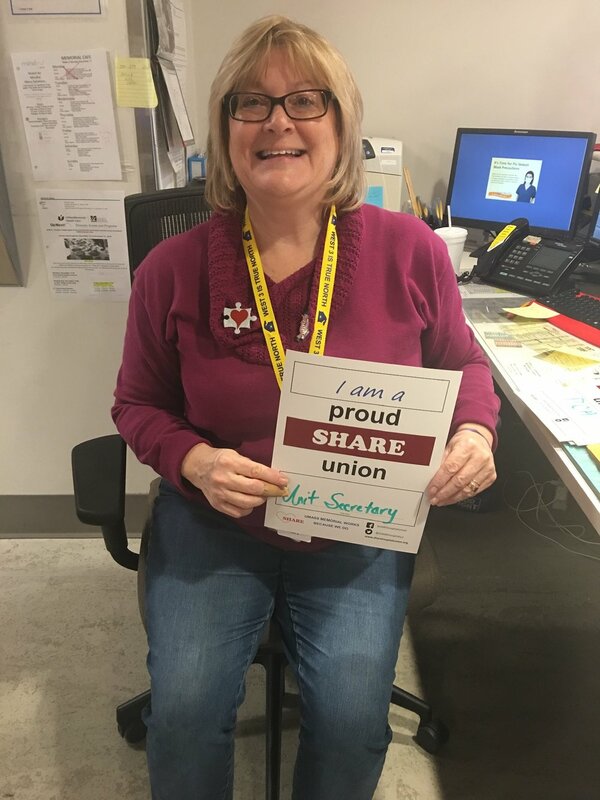 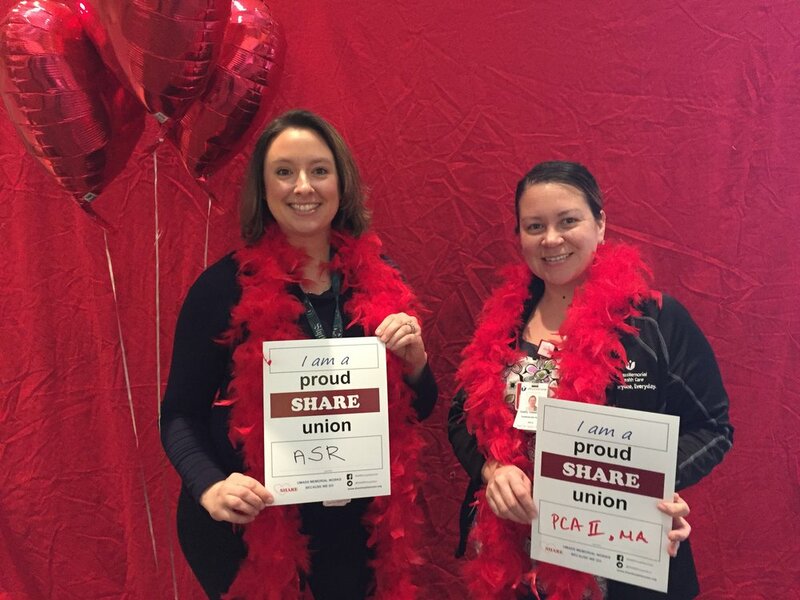 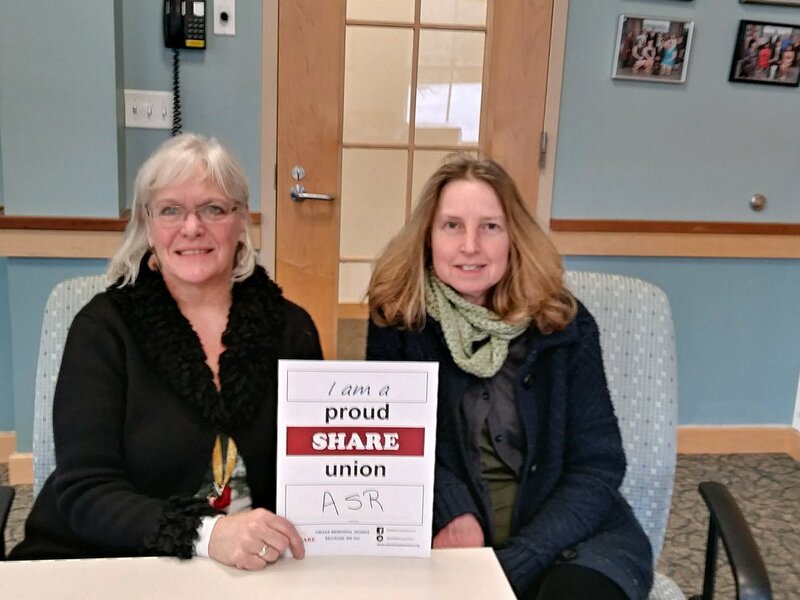 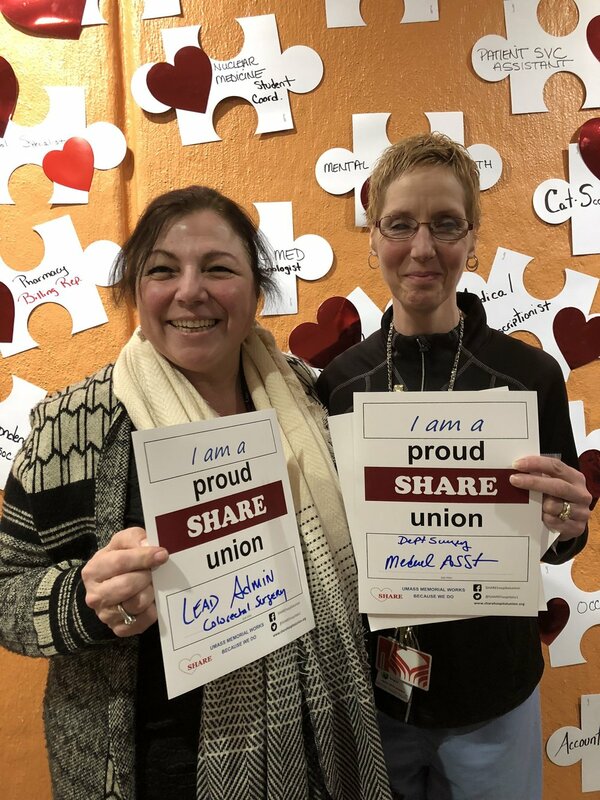 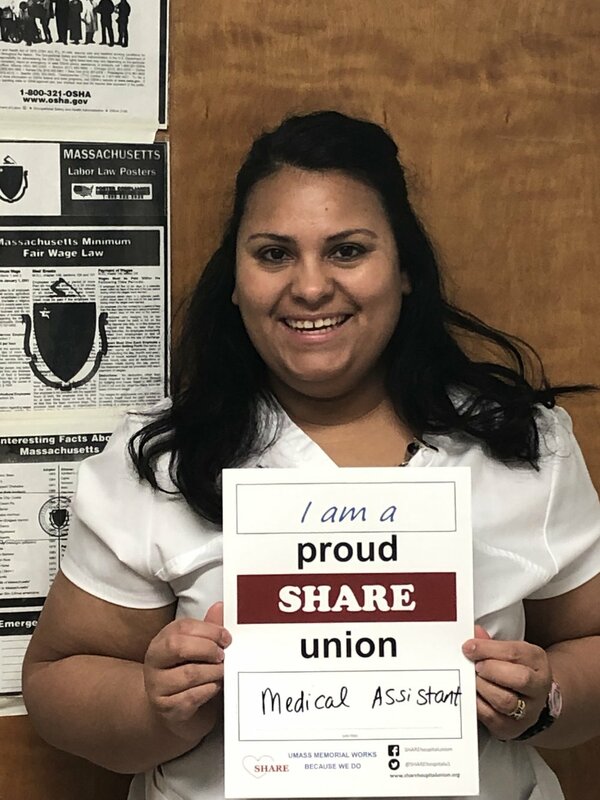 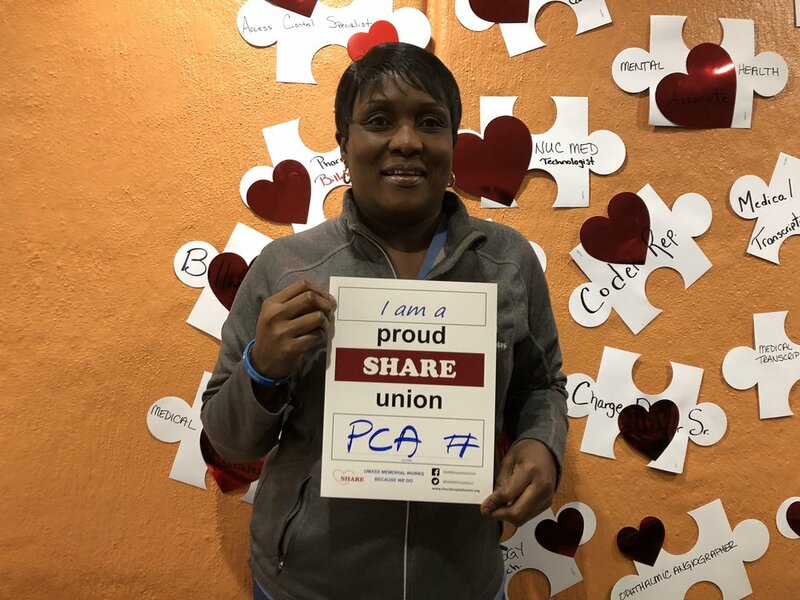 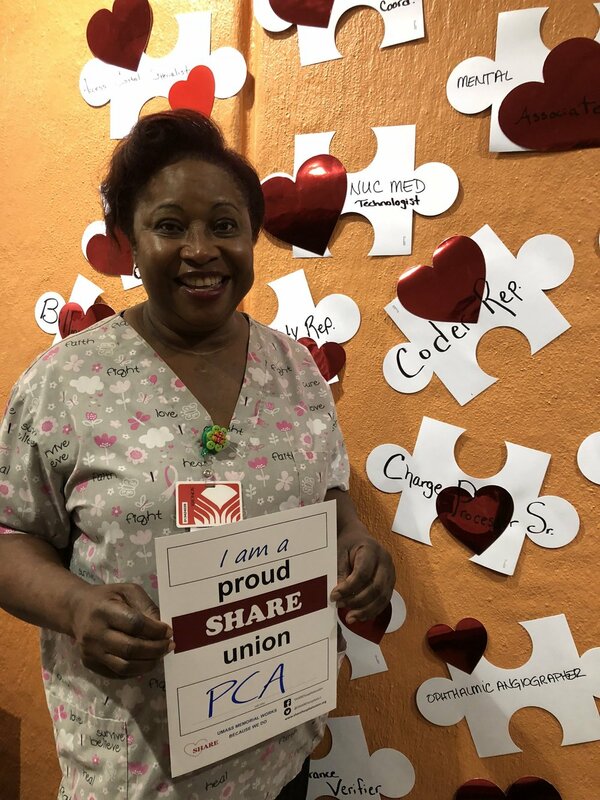 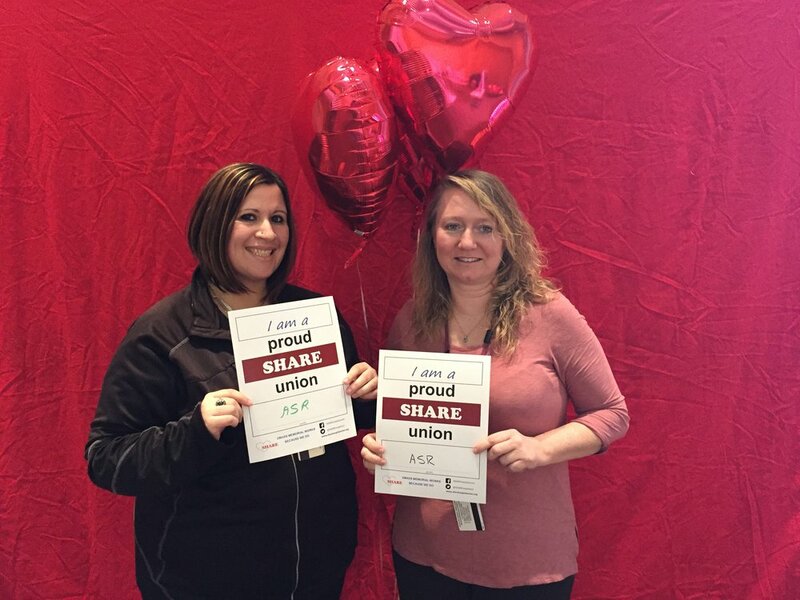 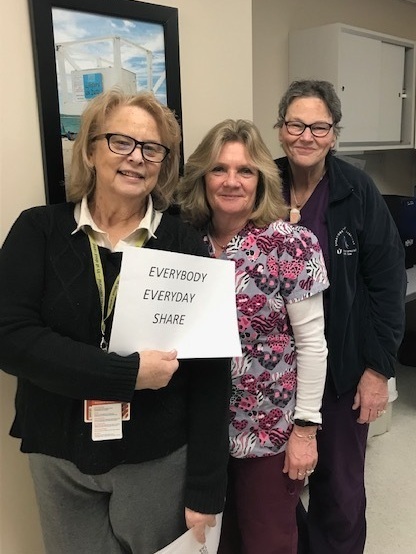 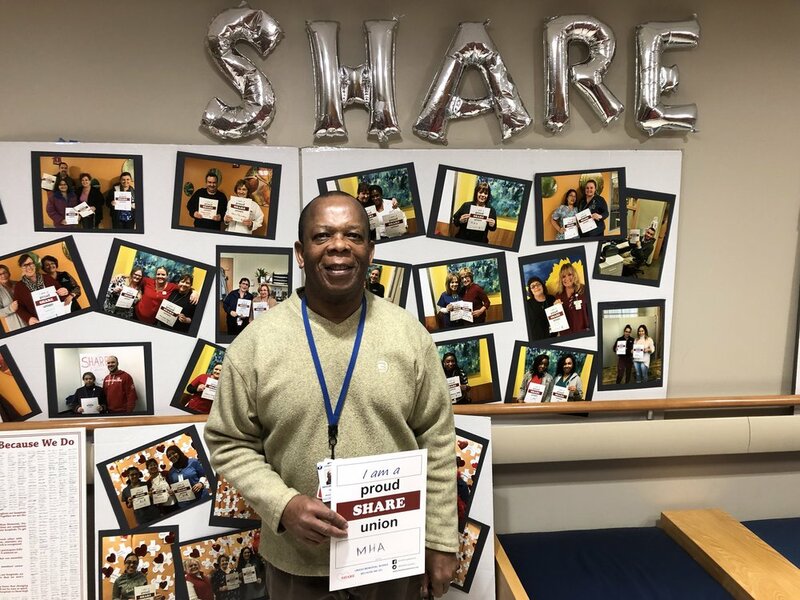 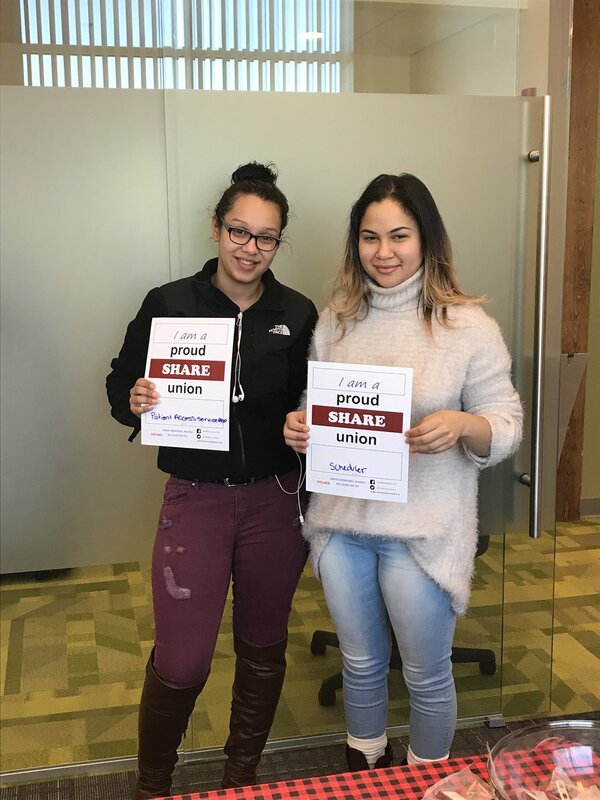 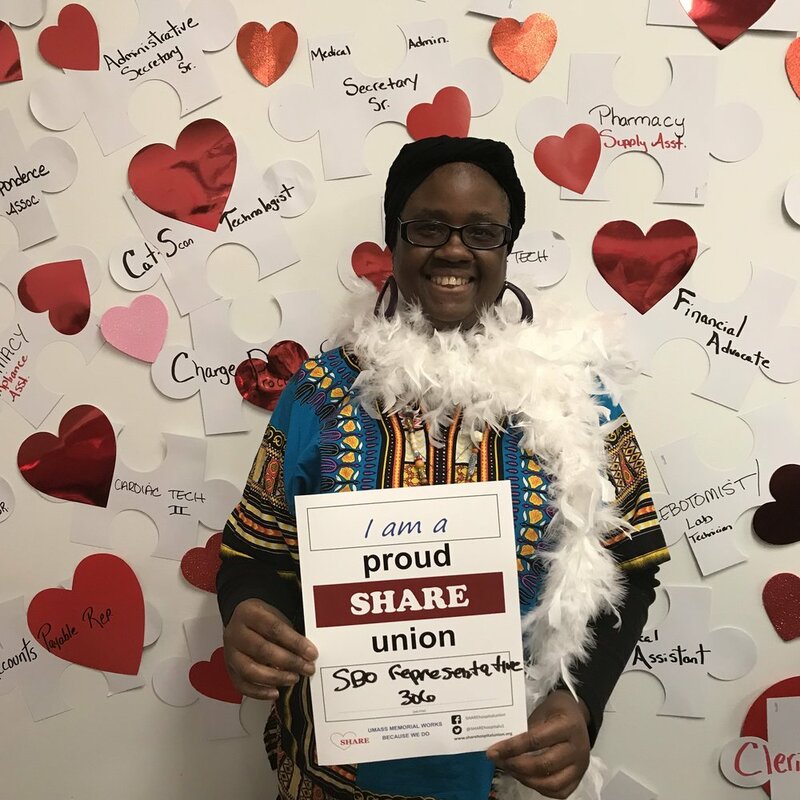 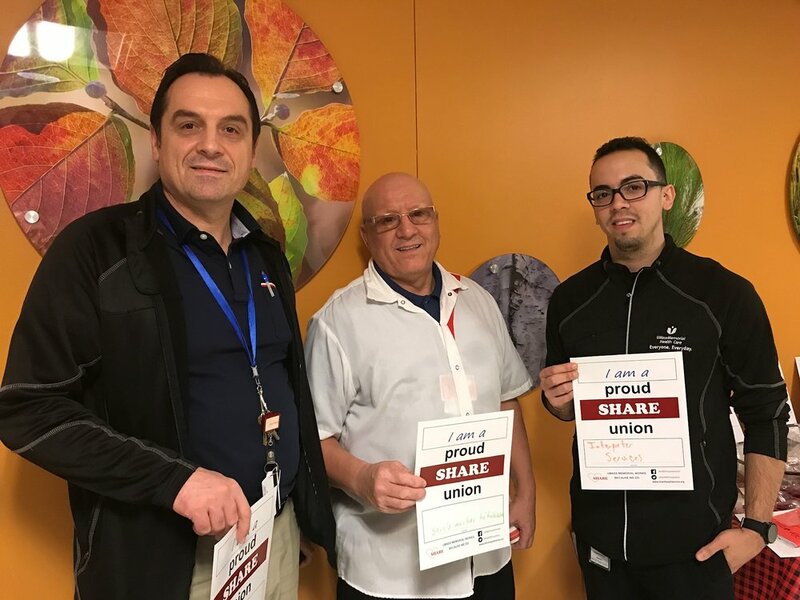 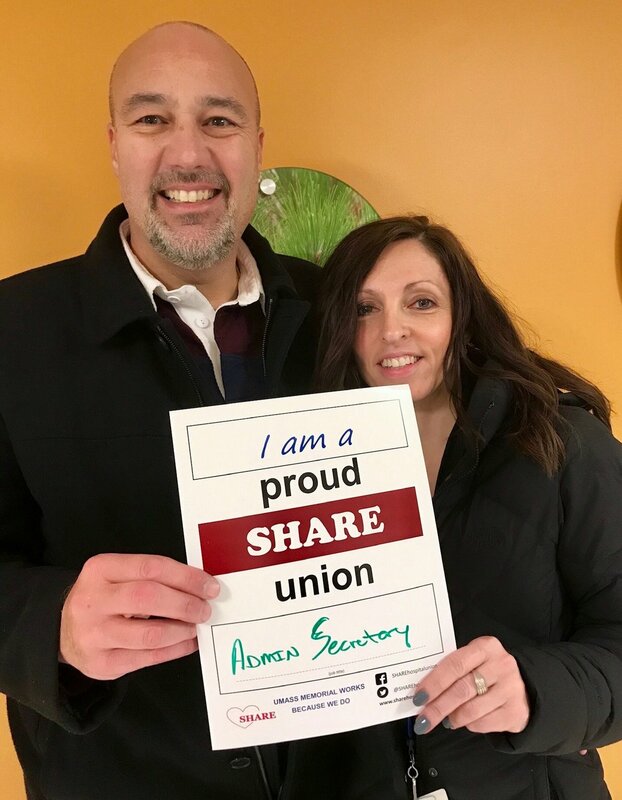 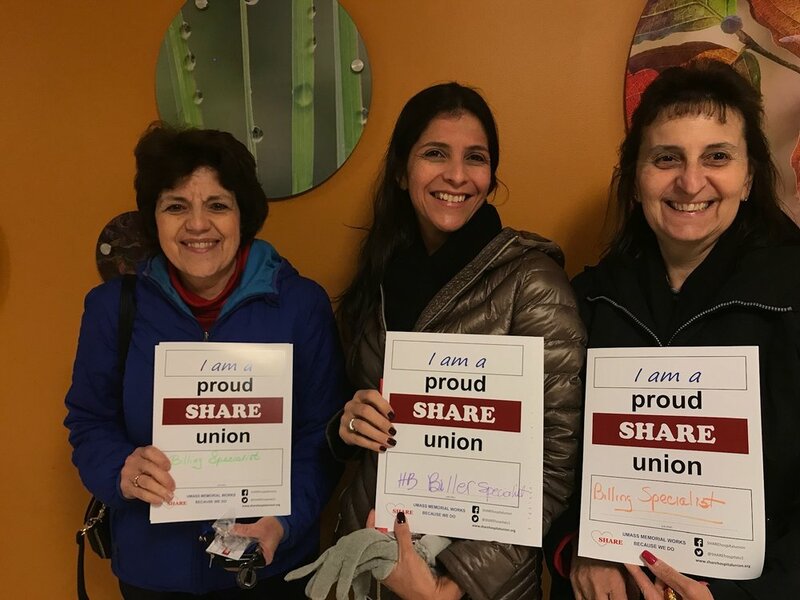 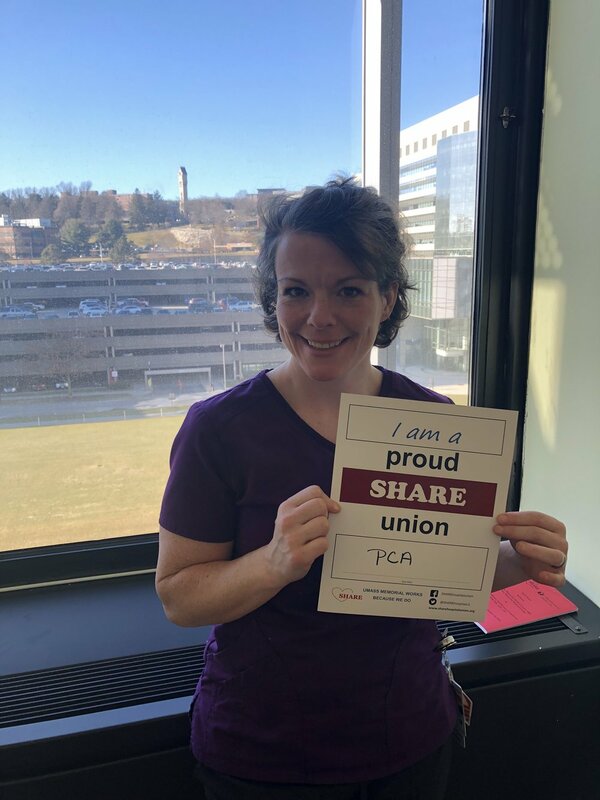 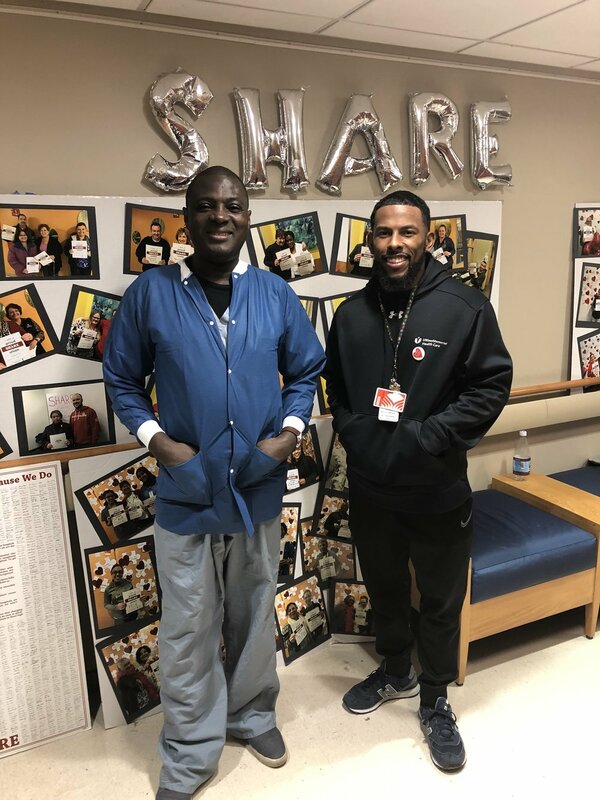 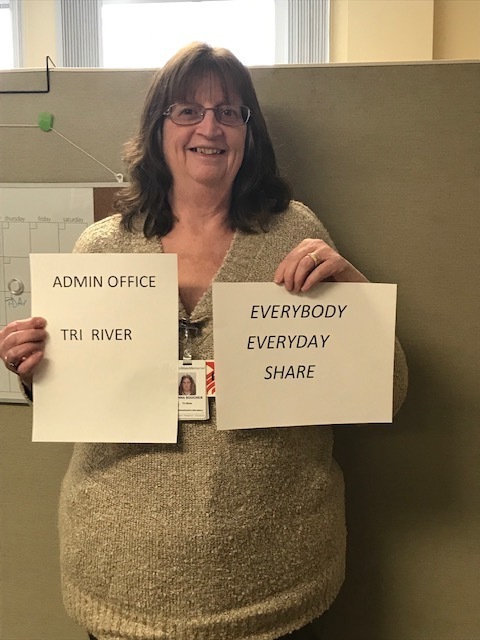 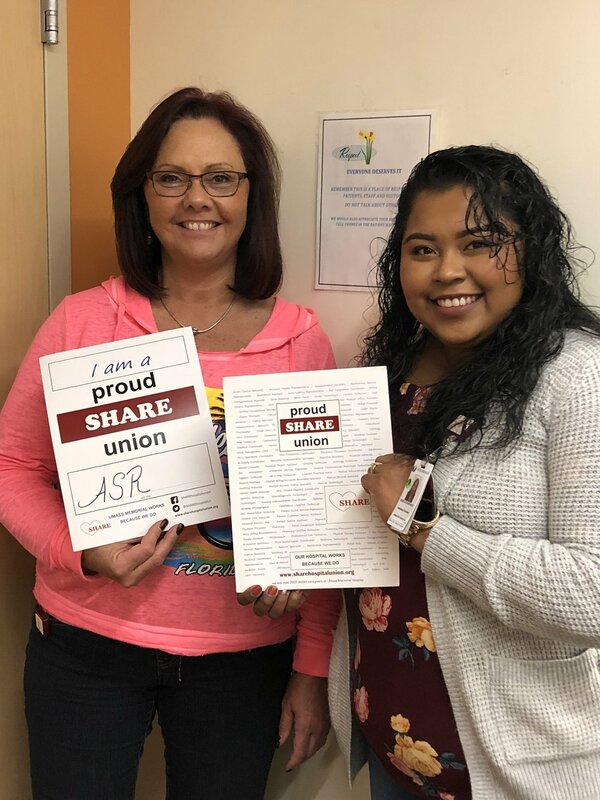 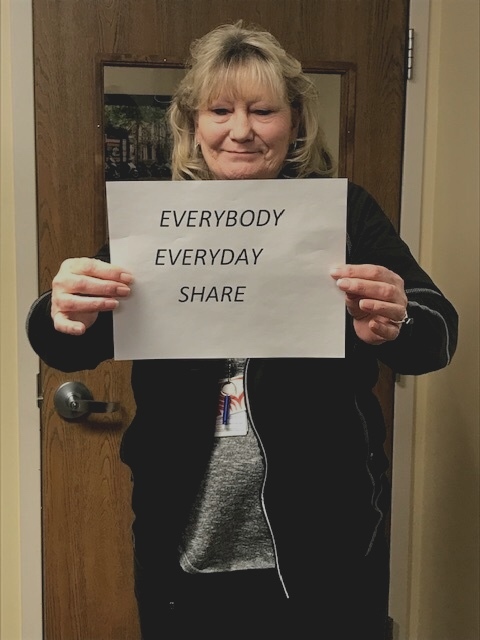 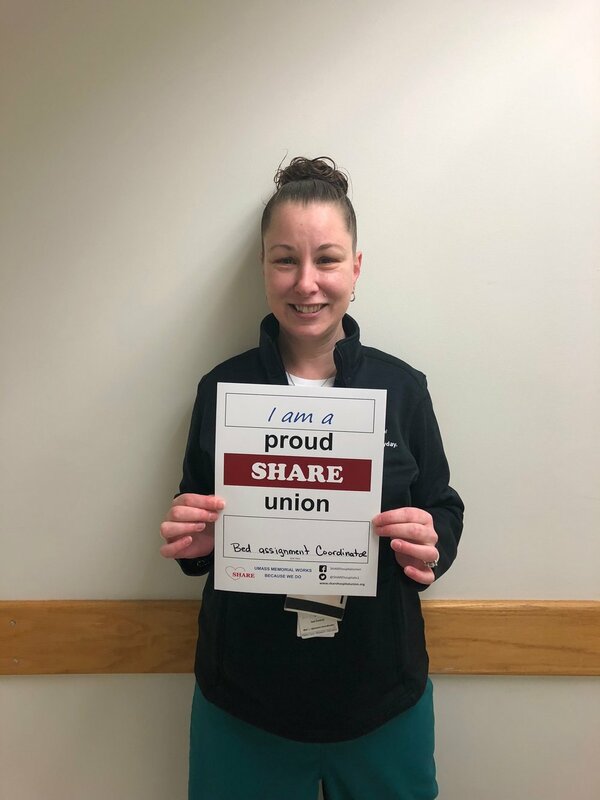 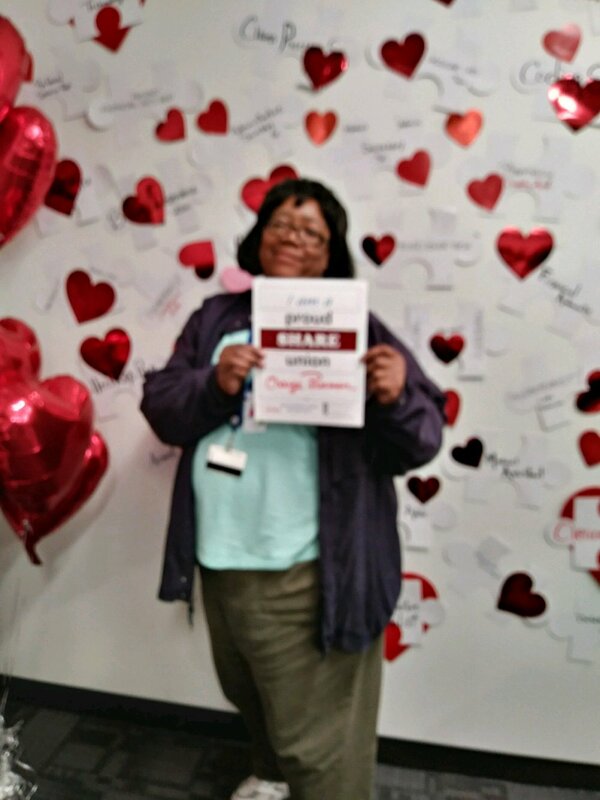 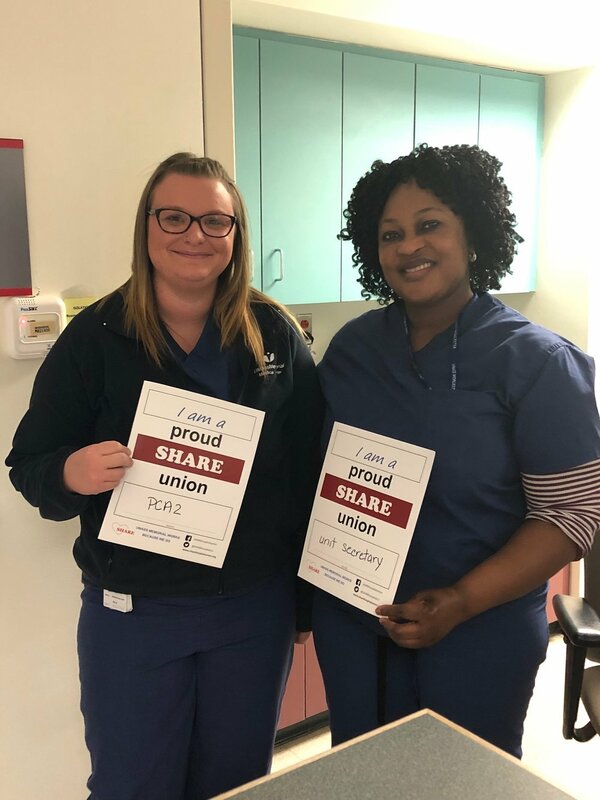 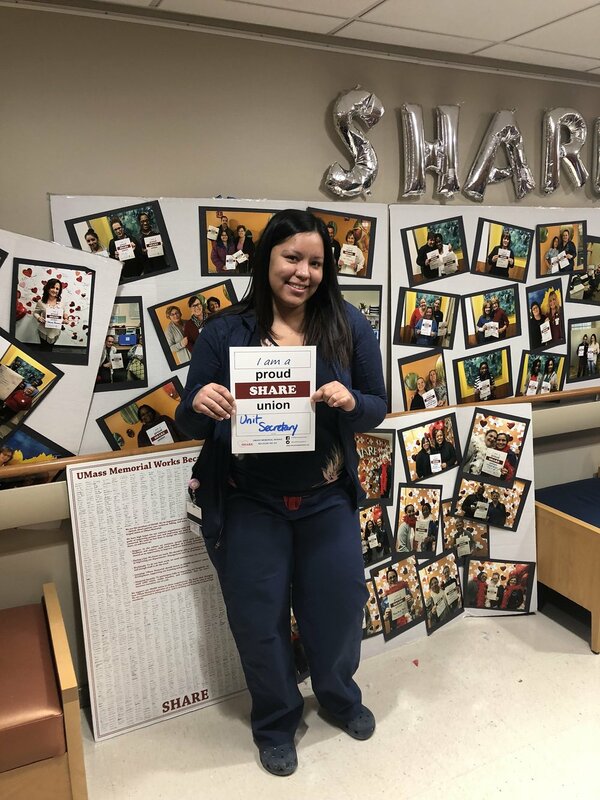 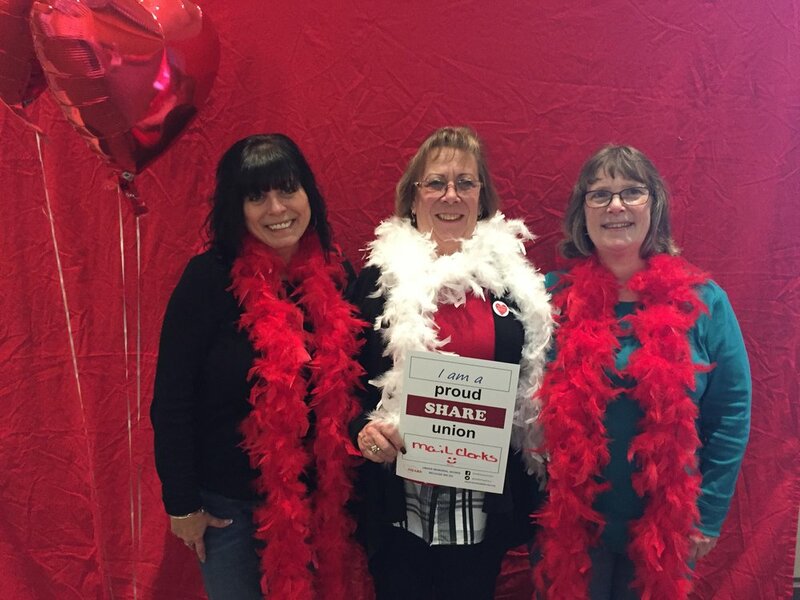 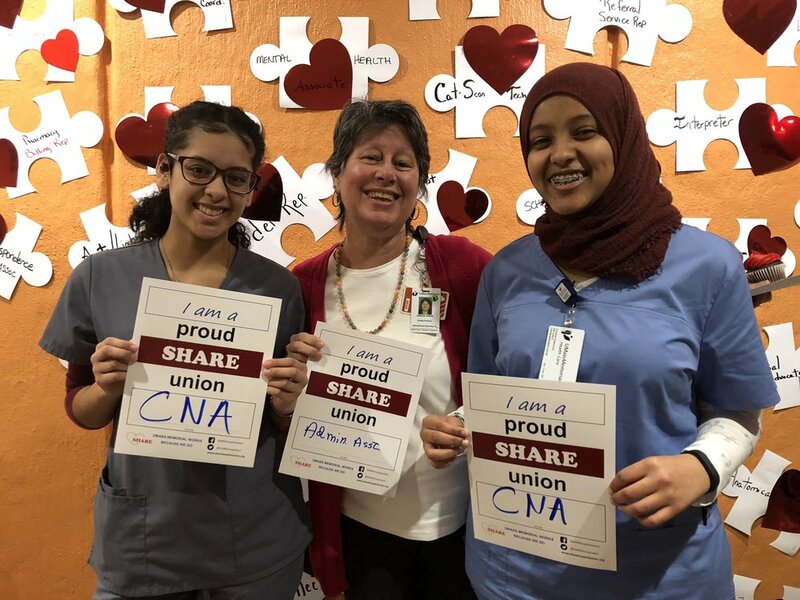 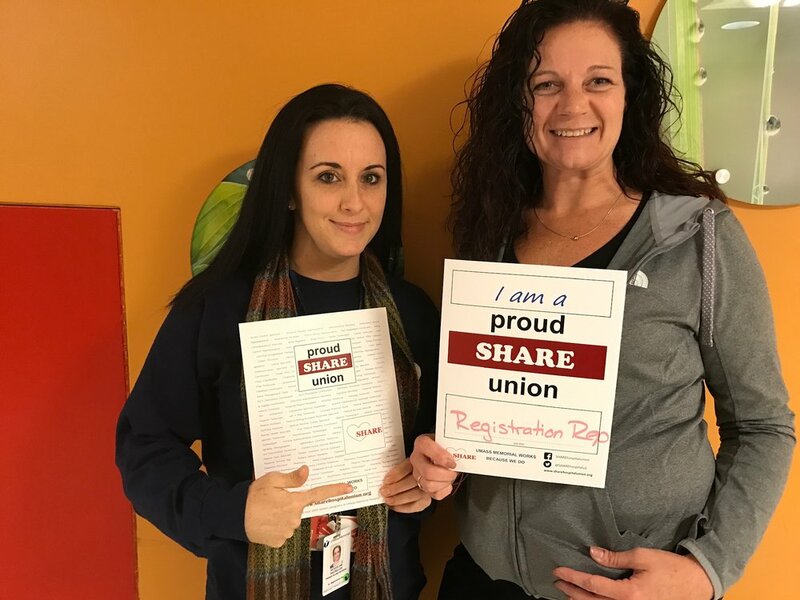 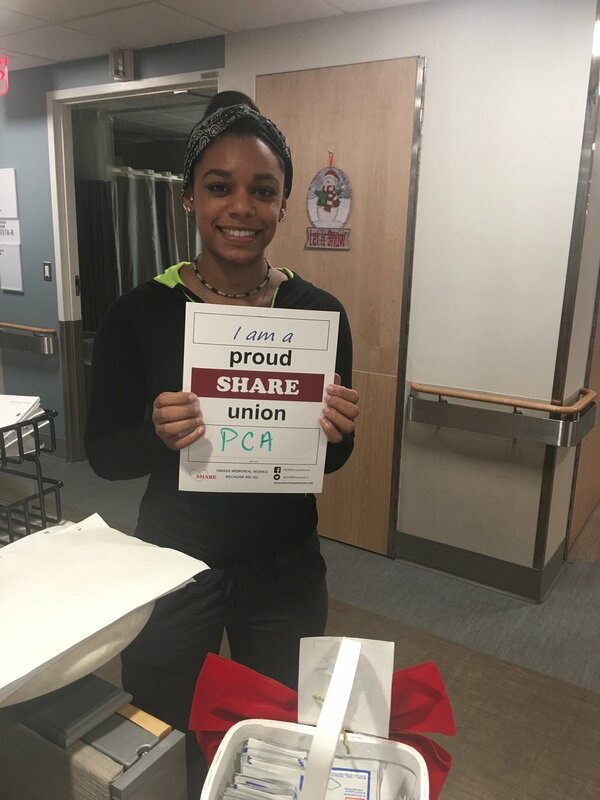 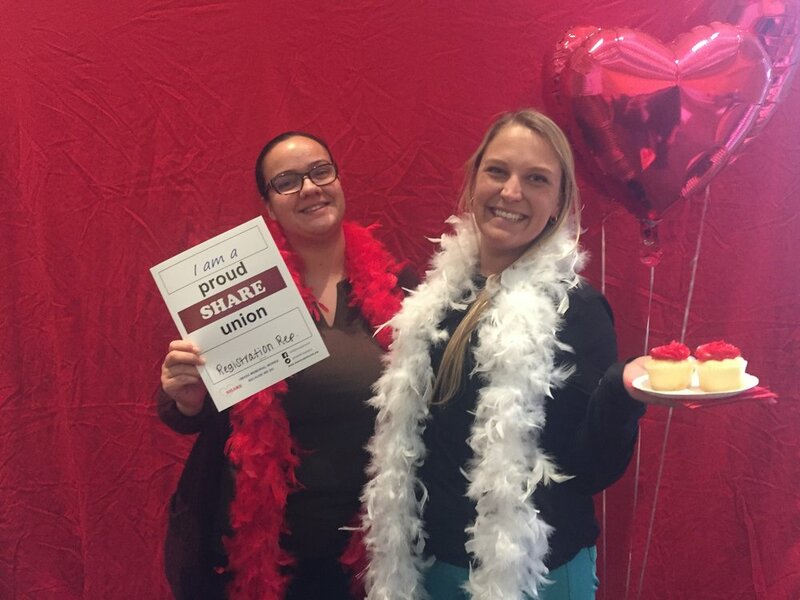 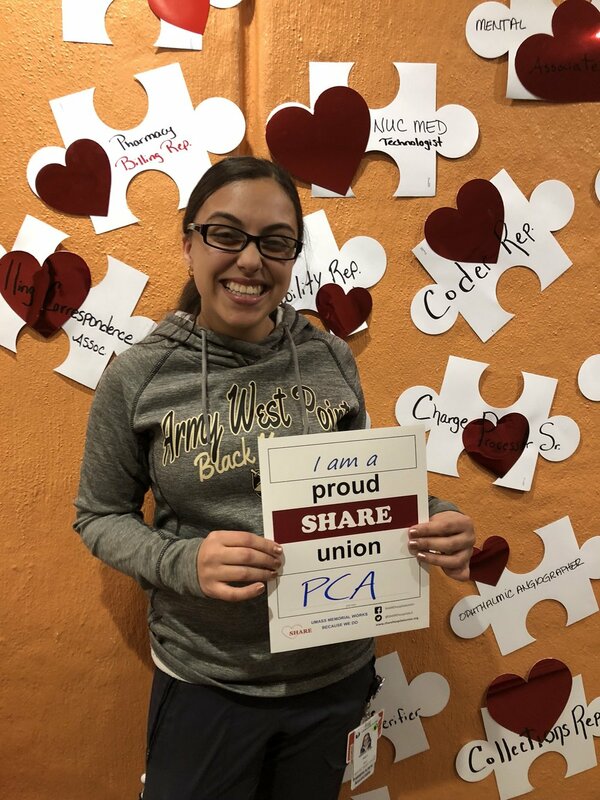 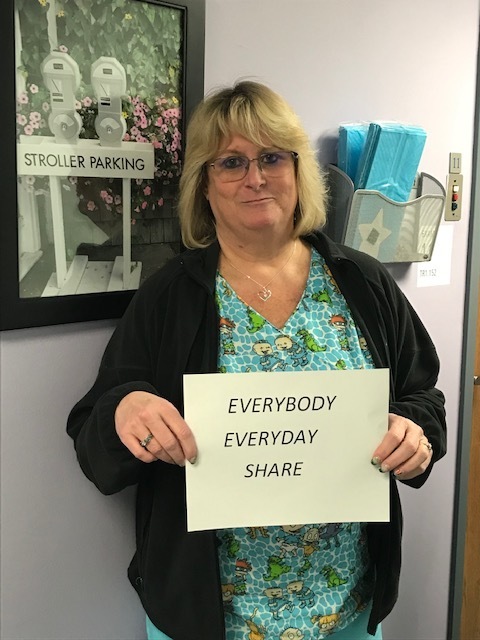 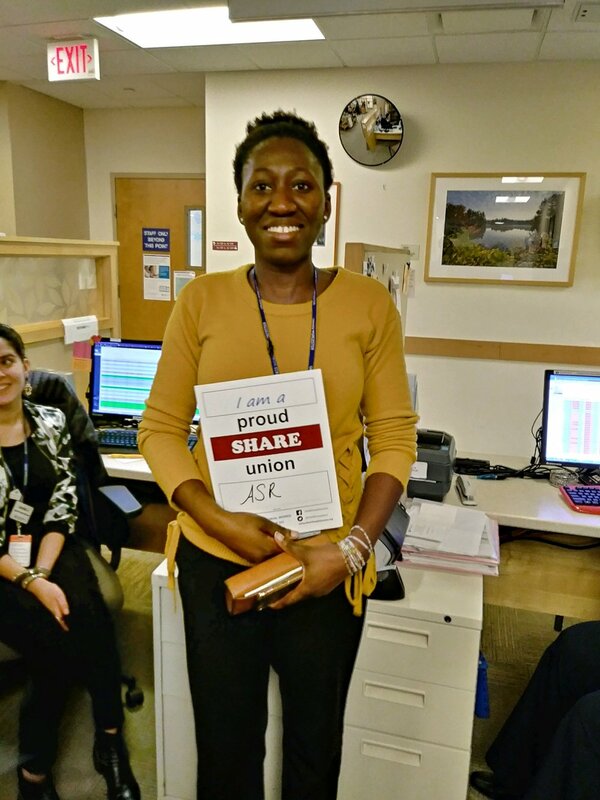 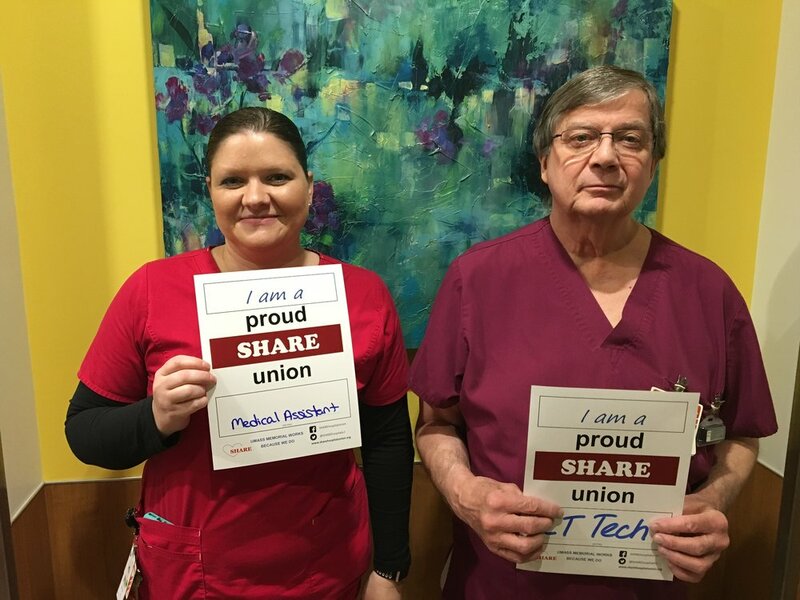 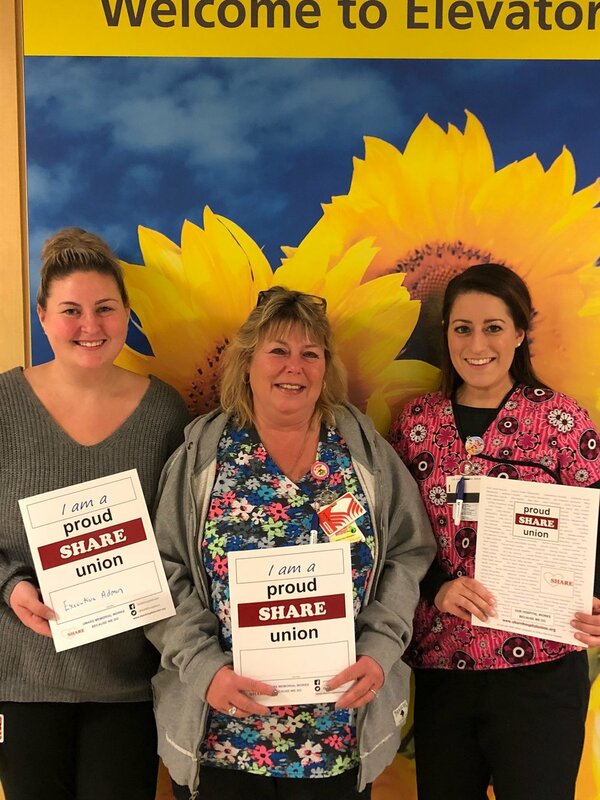 SHARE Local 3900 represents over 2,600 staff working at over 15 locations within administrative, technical, and patient care positions. 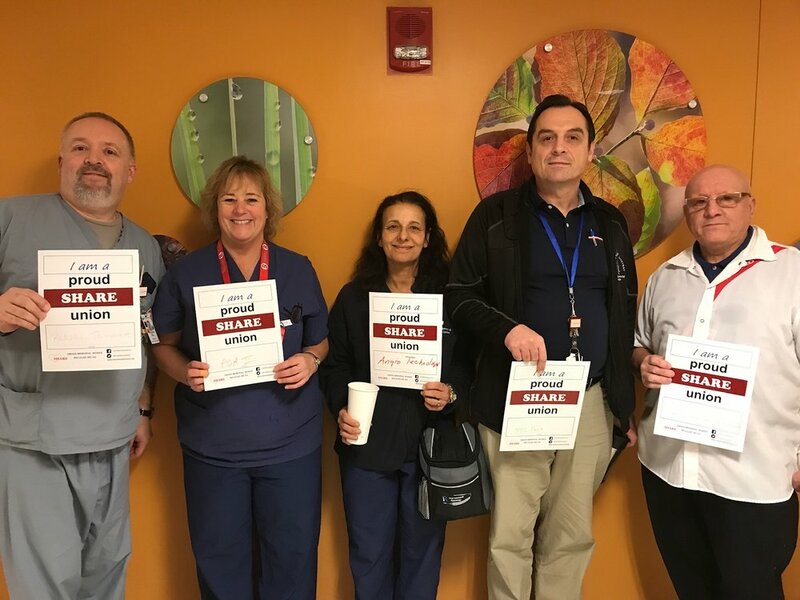 We work on the inpatient floors, ambulatory clinics, scheduling, billing, community clinics, radiology and respiratory. 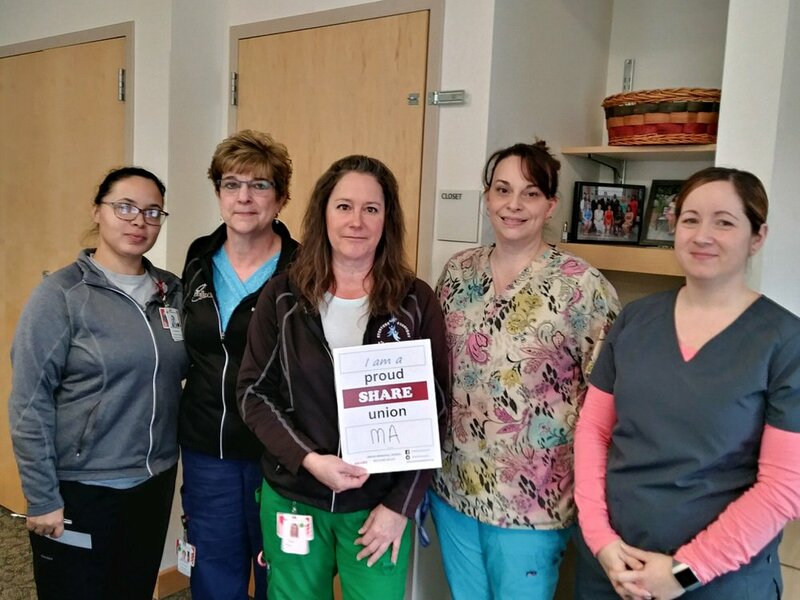 We care deeply about our patients and strive to give the best care. 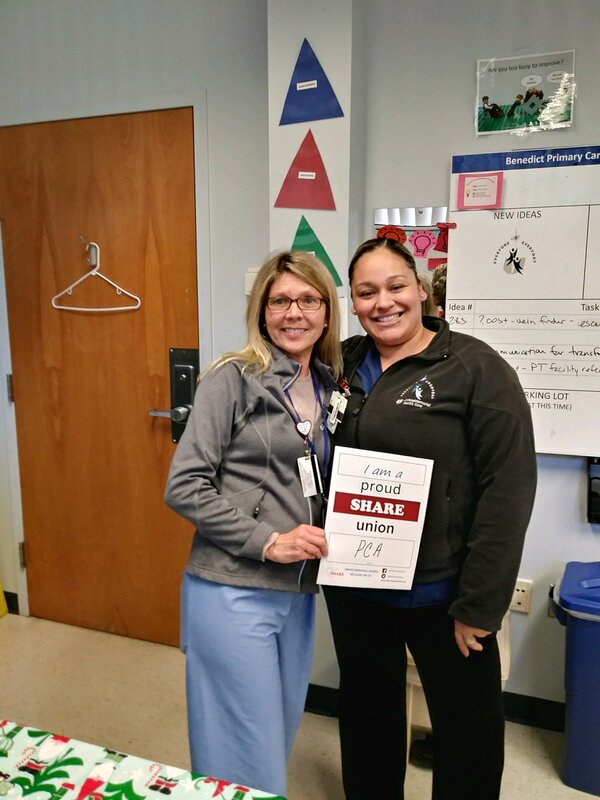 In addition to making sure our members have economic progress and job security, we formalized our labor-management partnership with UMass Memorial Medical Center in 2016. 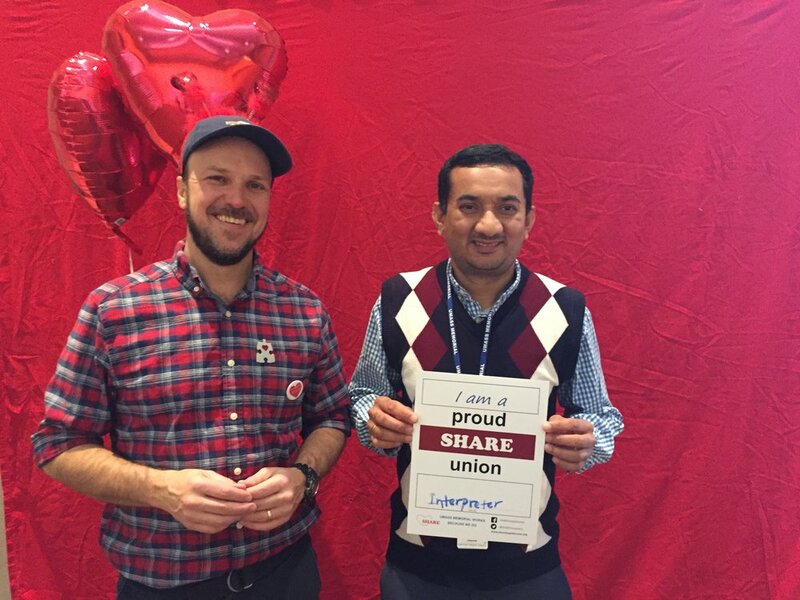 Through partnership, we are better able to have a say about how work gets done to improve our work experience. 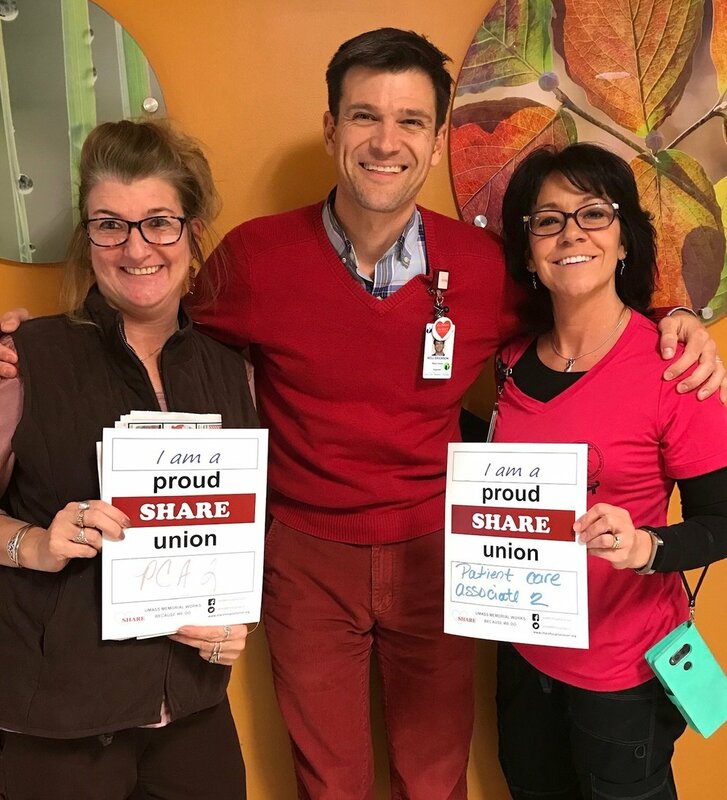 Our 2016 contract also put us on the road to creating Unit Based Teams (UBTs) in every area where SHARE members work to enable us to work as a team to solve problems and make work less frustrating. 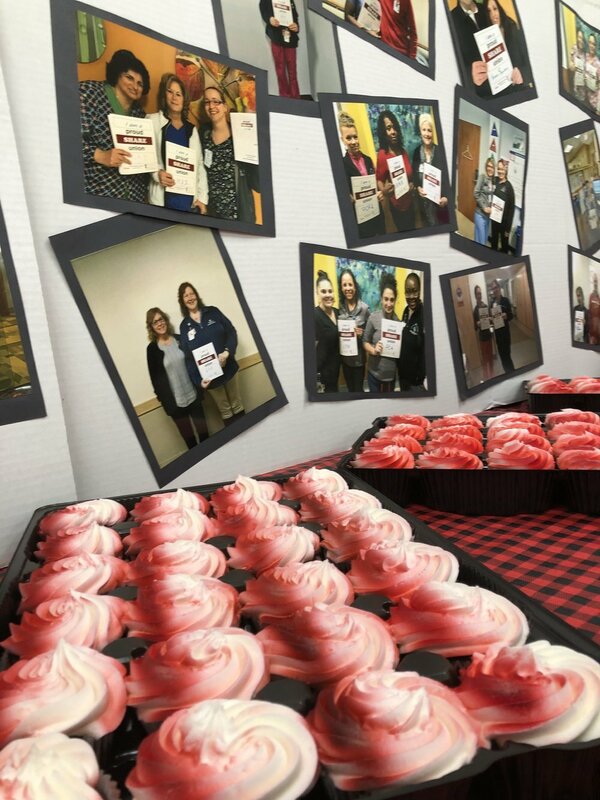 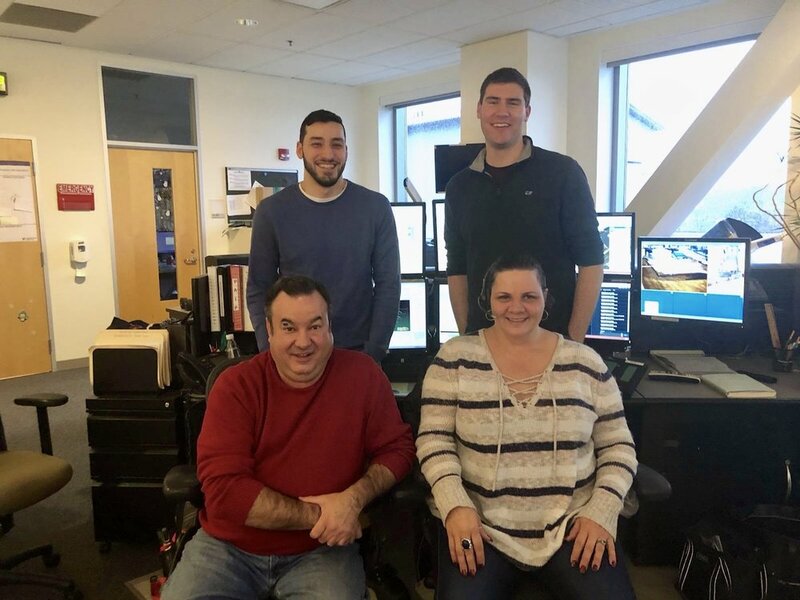 We celebrated our 20 year anniversary in 2018. 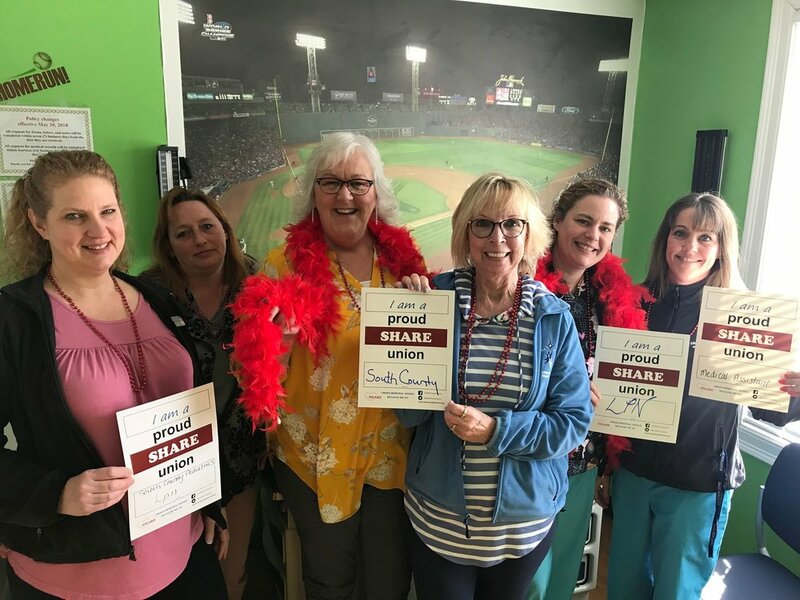 Do you work for the Medical School or Marlborough Hospital? 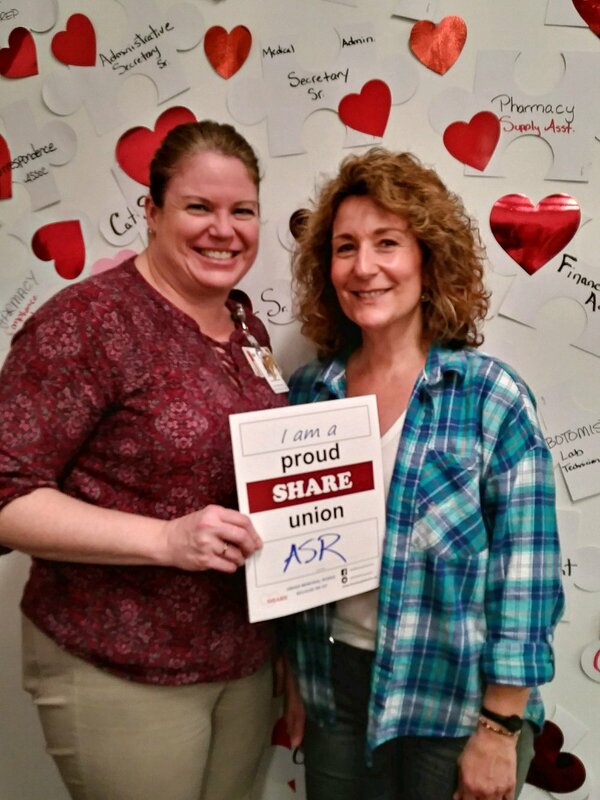 Return to our homepage to find your SHARE website.